In the battle between apps and the web, the web is fighting back. Having already introduced Accelerated Mobile Pages (AMP) to speed up loading experience, Google has also launched Progressive Web Apps (PWA), a collection of technologies to make entire sites behave more like native apps. And that development may bring a big boost to news publishers, if Joey Marburger‘s comments are anything to go by. “In our public-facing beta of the PWA web app, we’ve seen about 5x engagement – page views per visit, number of stories read,” Washington Post’s head of product tells Beet.TV in this video interview. “That’s pretty good. The de facto consumer internet on-ramp, the worldwide web has been challenged on mobile ever since apps written in native code began to take off. 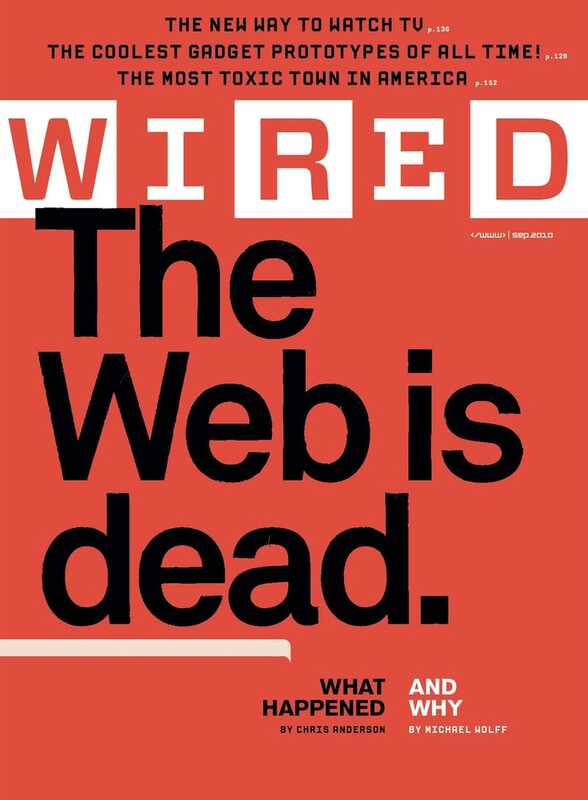 In 2010, a famous Wired cover declared: “The Web is Dead“. But the epitaph was premature. Over the last couple of years, the gatekeepers of the HTML standard have introduced new technologies that augment the mobile web with features approximating app capabilities. Meanwhile, efforts like Google’s AMP are reducing the cruft that can slow down mobile web pages to the chagrin of users. In tandem, these moves are encouraging The Washington Post that the web is the medium with the momentum once more. With PWA, it has cut mobile page load times from three seconds to one second. That matters because 70% of the publisher’s traffic comes from mobile devices, and the vast majority from mobile web versus apps. “The web has closed the gap … and you don’t have to download it,” adds Marburger, whom Digiday profiles as a “punk rock star”, “geek” and “therapist” helping overhaul the Post under Jeff Bezos’ ownership. “On the web, you have immediate scale because of social and other referrals. There’s greater scale on the web. A lot of technologies have caught up to native. That doesn’t mean apps are dead for WaPo. Marburger is also launching a new iOS app to take advantage of latest iOS 10 features, as well as a new smartwatch app for the updated Apple Watch. But his confidence makes it clear – the web is back.